I love good chips and guacamole. I would rather eat that than anything else if I'm being honest. What I love even more is that the snack is relatively healthy for you and satisfying. Another thing I love? That I can make it homemade! 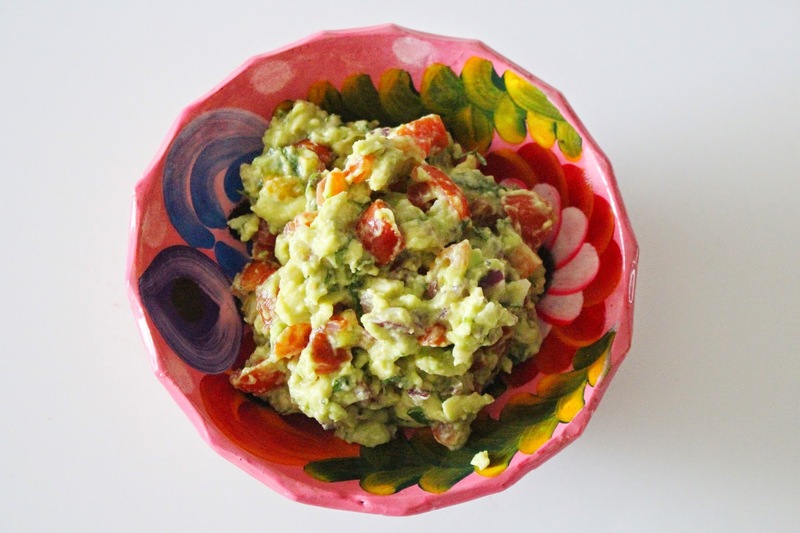 My mom's guacamole is hands down the best…it tastes like all the ingredients came from your garden. 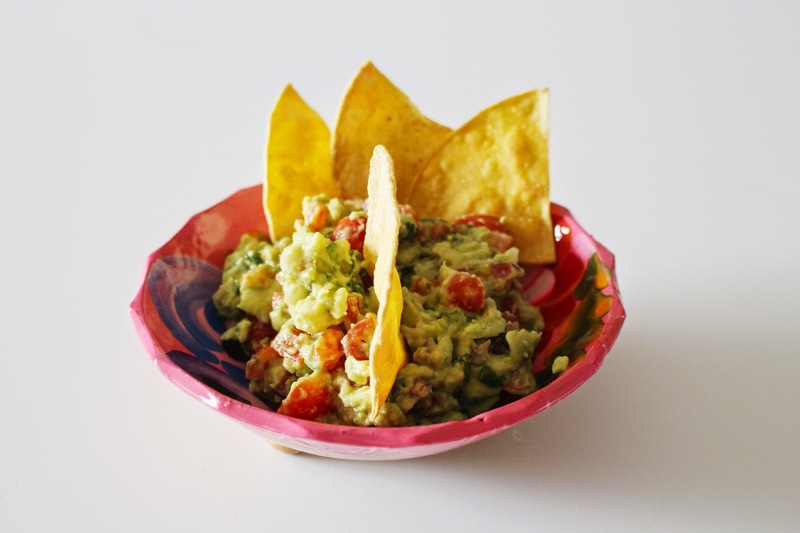 The tortilla chips are also very easy to make too…bonus! 6. Sprinkle salt and pepper and add some jalapeños if you like some spice. 1. 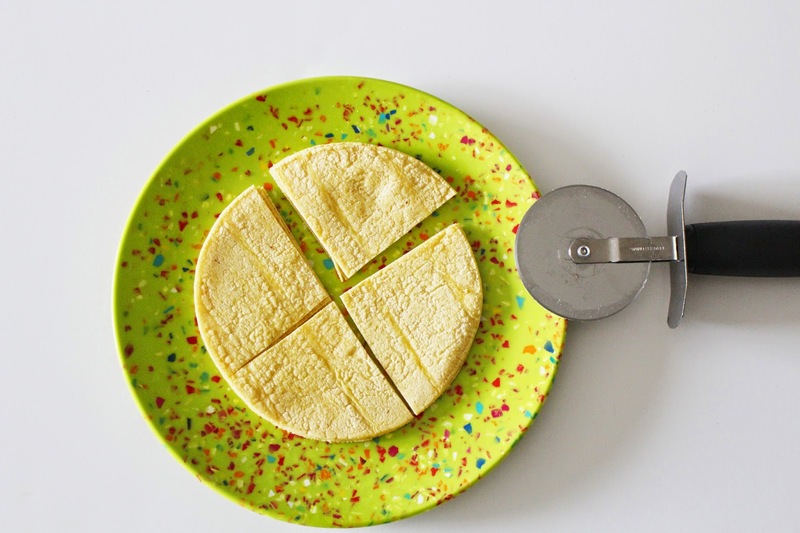 Use a pizza cutter and slice corn tortillas into fourths. 2. Brush on some olive oil and salt…a little lime juice is yummy too. Dip the chip and enjoy!! 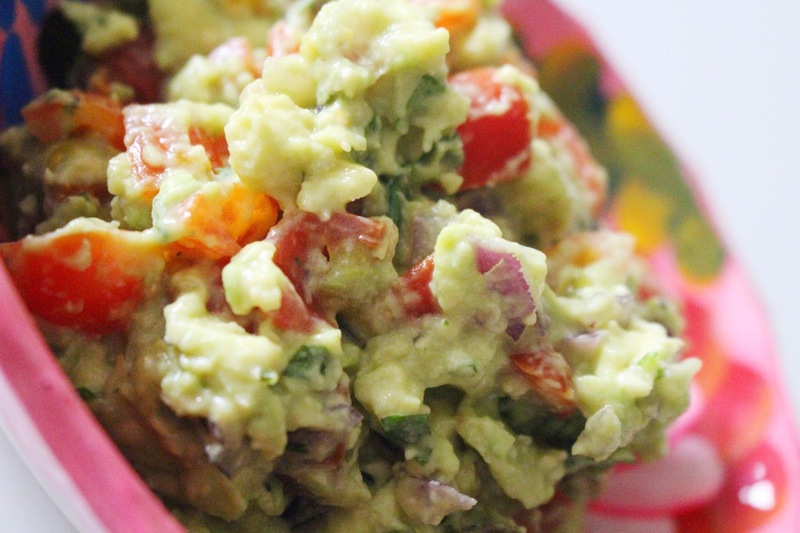 Oh my goodness this looks SO good...I'm now craving some guac real bad! 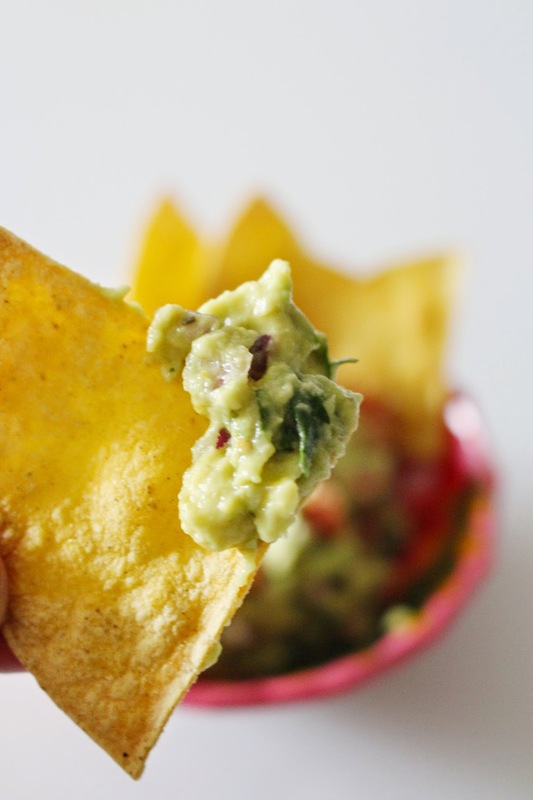 I love chips and guac, I would probably eat it for every meal if I could! I'm always on the lookout for new recipes, I'll have to give this a try, especially since I've never made my own tortilla chips before. I see this recipe happening for me sometime this weekend! Thanks! You know I love making homemade tortilla chips! 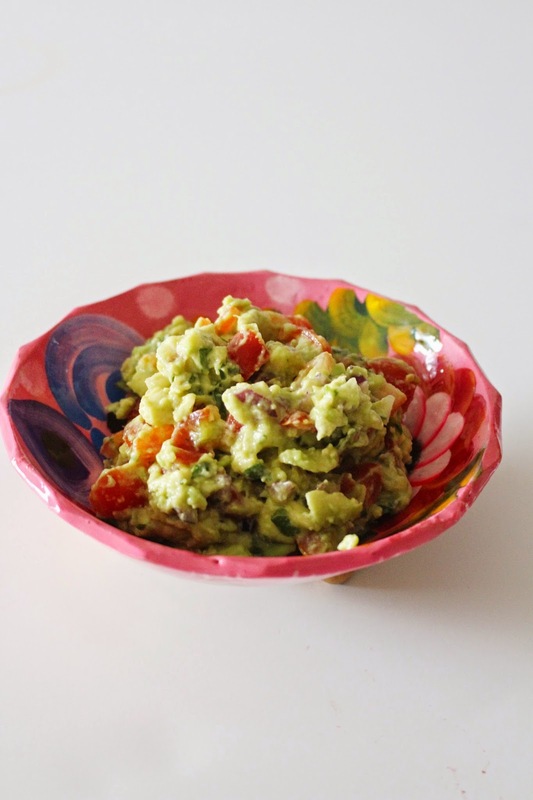 A quick, easy, and better tasting version than the store bought versions! I looooove guac! I neeed to try baking my own tortillas! Seems simple enough. 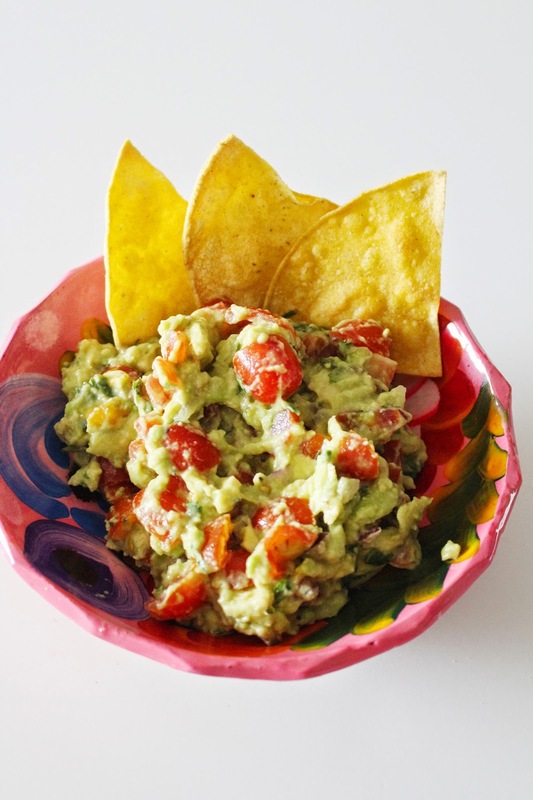 I love it homemade guac and salsa, but really it is just SO much better with homemade chips, isn't it?!! Love it! Thank you for sharing with us at Delicious Dish Tuesday! We'd love for you to share a link back to one of the hosts so your readers know where to find and share great recipes like this one! :) Please join us again this week- we LOVE great recipes!! I could probably eat quac all day. It's a real problem! Homemade chips are the best…you could try making them on the skillet too! Those are almost better than baked!